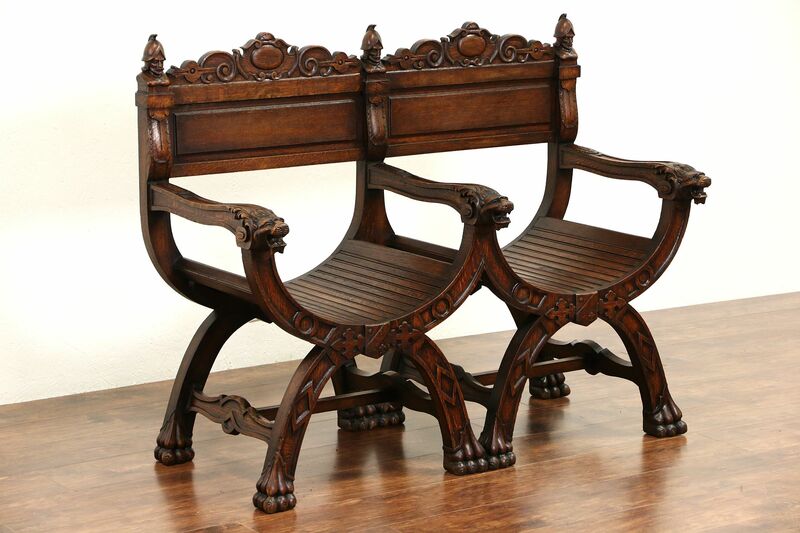 A double hall bench was carved of solid oak in the 1890's in the "Savonarola" design, named after the fiery Renaissance monk of Florence, Italy. The original finish is very well preserved with a little wear for antique character. Artistic three dimensional lion heads and paws, knights' heads and the original owner's family crests are masterfully hand carved on this historic furniture. The frame is tight and strong.